I know most of you are on holidays right now, successfully using all the apps that I suggested in my previous post. Today I would like to focus on reading, an activity that each and any of us should be doing more and more often, especially while relaxing on a sunbed or breathing the fresh air in a beautiful mountain resort. 1. Free Books – Ultimate Classics Library: available on both iOS and Android, this app provides 23,469 free classic books, written and/or audio books (and you have to know how much I love audio books). You can search and browse through the library smoothly, the app works really well with very few adds, and, most importantly, the reader is incorporated. Best part: it’s free! 2. 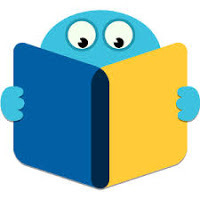 Oodles Books – the description on iTunes states: 50000 free books and audio books. The same principle as for the app above but with more adds (pop-up adds and in between book listings adds) but there are also more books. There’s also an integrated reader, but not as appealing. 3. Blinkist – have you heard about this app? It is AWESOME! Especially if you are into non-fiction books. It is basically an app that gives you access to summaries of the best non-fiction books ever (well, not all of them, their library has around 1500 titles) in both written and audio. I’ve read or heard once that the best way to learn something is to follow-on an audio book (read while you are listening to the audio). It works for me. And they are good summaries indeed. Give it a try if you are planning a professional or personal revolution this fall. It will get you inspired, to say the least. Hope you take advantage of the free time and read a little. It’s a good time investment. Hi! And thanks for the mention 🙂 Happy summer to you too! You are welcome! You have such an incredible app!